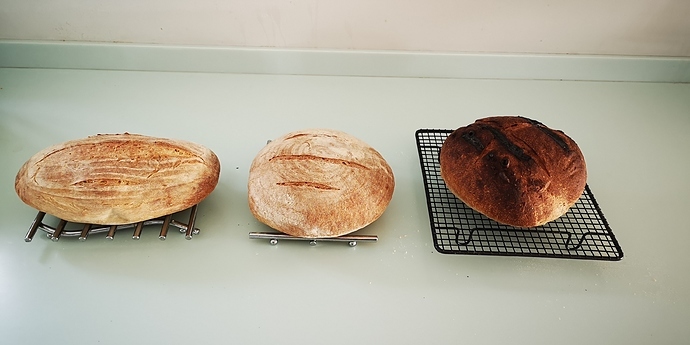 I really need to get back to baking more bread (and seriously upping my bread making game too to match you lot). Same here. I had a whole era when I baked loads, and really had a loaf I’d perfected, but then change of house, time-period, oven etc, and it slipped by the wayside. Seeing what people are doing is inspiring. 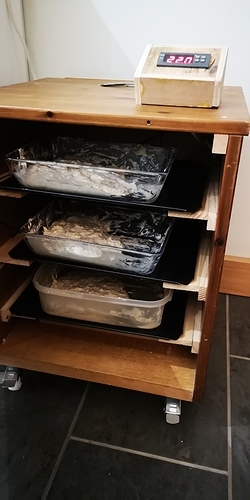 Devon bread news update - A new three tier proofing oven just built - Designed to fit in the bottom of the larder. 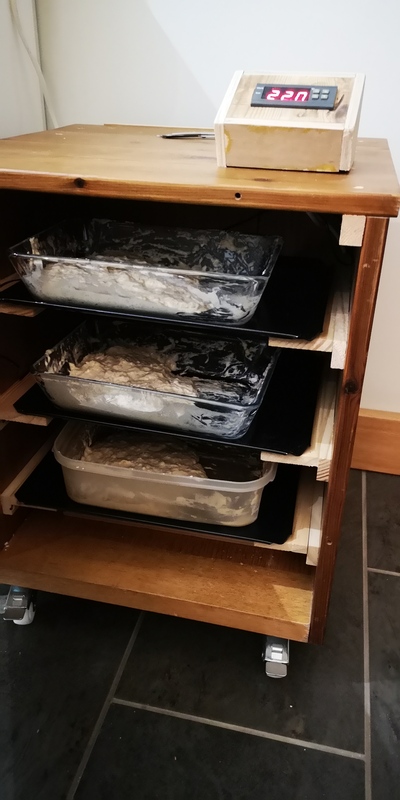 First batch of poolish is now in overnight. Some additional insulation and maybe a adding a fan for better circulation may feature later. 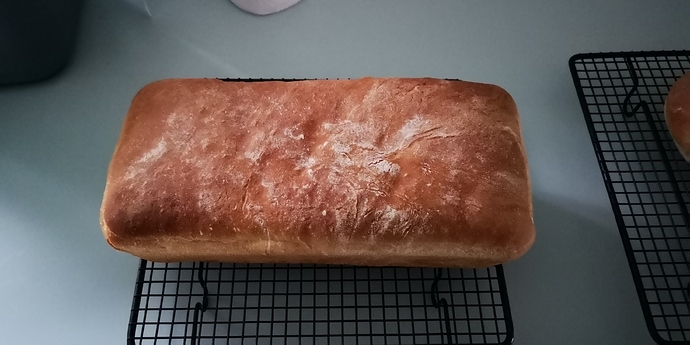 I’m still amazed that @Wayward hasn’t got into bread making. Maximum faff potential is strong. Me too, I am expecting him to enter the fray sooner or later. Master baker. I think that’s how you spell it. Harsh, They were a decent effort. True, difficult to take a pic of his without a welder’s visor in front of the lens. Also I’m a basket short. Have you been taking lessons from @Wayward’s mince pies efforts? get a large bowl and pour in the water, water should be room temp. Add the olive oil and stir. Add the yeast and dissolve, squish with fingers while adding, helps it dissolve quicker. mix in the bowl until it’s forming a dough, it will be wet and sticky at this point but all ingredients should be well combined. continue kneading for 15/20 mins until a lovely smooth dough is formed and all the sticky dough has gone from your hands and worksurface. 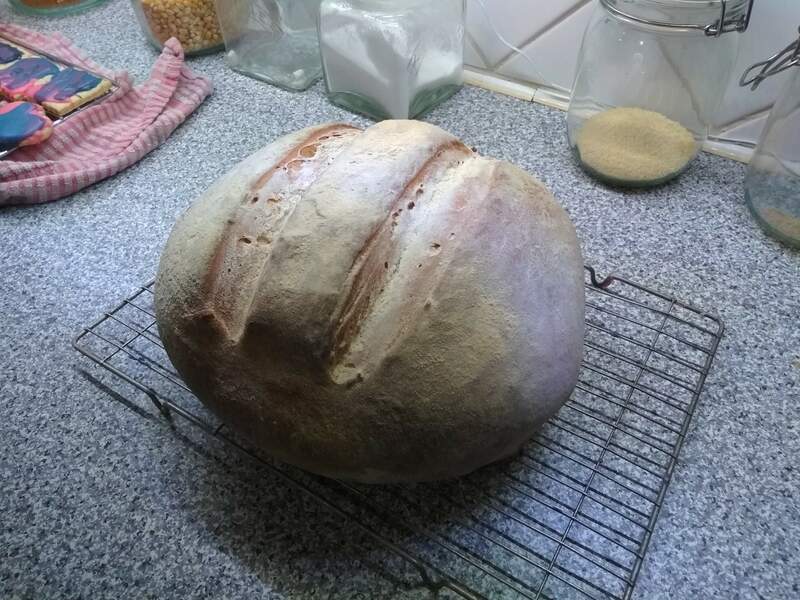 form the dough into a nice dome and cover with a well damped cloth or tea towel, tuck it slightly under the dough and make sure there is no air pockets between the cloth and dough then leave it to rest for an hour. 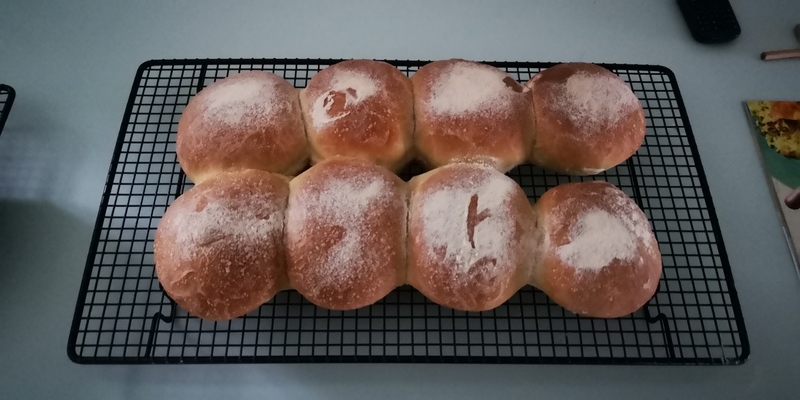 Place the balls evenly on a tray leaving a good 3cm space between balls, flatten slightly, just slightly and lightly sprinkle with a little flour, cover completely with cling film and leave for a minimum of 5 hours to rest. When you are ready to make pizza uncover gently, he kept telling me gently, gently, and take off the tray, use a slice or dough blade to gently lift the dough ball from the tray don’t grab it by hand, you want to retain the nice ball shape. Place on a well floured work surface push down in the middle and off you go. use one hand to hold the centre and stretch out with the other. The pizza recipe above specifies fresh yeast. I used Doves & I don’t think 5g was enough. Is fresh yeast that much more potent? 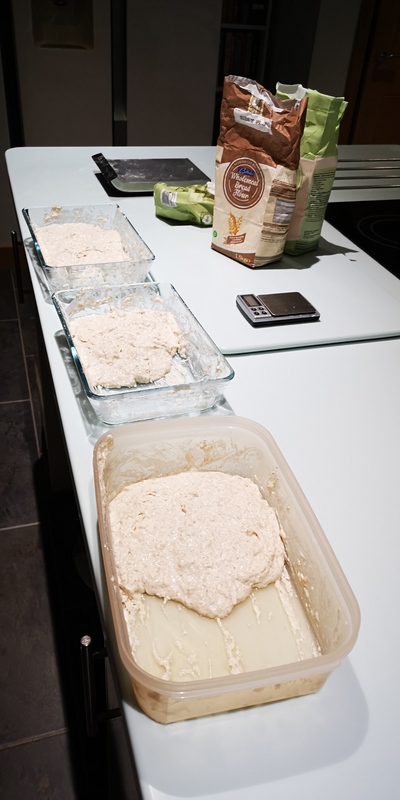 Normally for that amount of dough (1 Kg) I’d be putting 10-15g in. I know when brewing I make a “starter”, building it up over 7-10 days. Thus getting sufficient numbers of live cells per litre of Wort to achieve an “unstressed” fermentation. Does the same apply to to baking ?